The 2018 PSE Fever compound bow takes youth bowhunting to the next level! 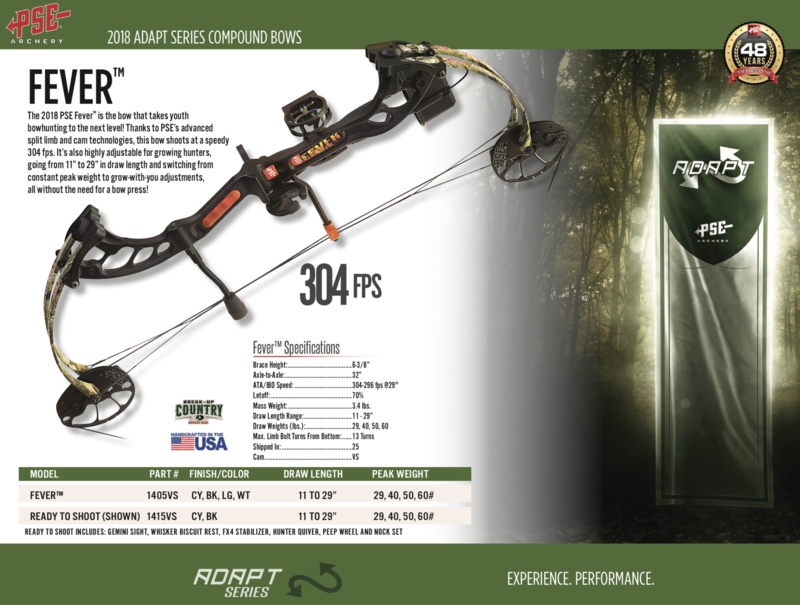 Thanks to PSE's advanced split limb and cam technologies , this bow shoots at a speedy 304 FPS. It's also highly adjustable for growing hunters, going from 11" to 29` in draw length and switching from constant peak weight to grow-with-you adjustments, all the without need for a bow press! Available in Mossy Oak Country, Black, Lime Green and White.